Stunning Silver and Cubic Zirconia heart earrings with sparkling pink cubic zirconia centre. Perfect for any occasion, day or night. 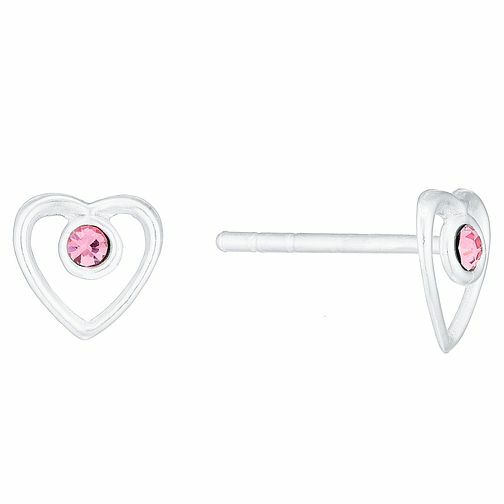 Sterling Silver Pink Crystal Heart Stud Earrings is rated 4.3 out of 5 by 3. Rated 3 out of 5 by Anonymous from Nice for the price Pretty earrings. Good for such a low price. But they do turn upside down which is annoying.